When I'm in NY, I like to meet up with my friend David Dust to have dinner. Usually I try to pick something new-to-David, but this time I had some restrictions. Since I was going to Sniffapalooza at 8am the following morning, I didn't want to indulge in a cuisine that was too spicy or garlic-heavy. Not only did I not want to offend anyone (ok, that's not entirely true), but I didn't want to sweat garlic and affect the way fragrance smelled on my skin. I was pretty sure I could avoid stinky alliums at a sushi restaurant; unfortunately, David doesn't like fish all that much. But, he said if I could find a sushi joint that served fried chicken, he would be all for it. Lucky for me, many Japanese restaurants serve chicken katsu - fried chicken cutlet. 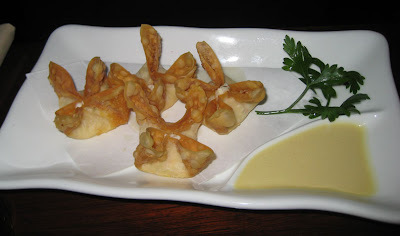 I googled my way around Greenwich Village and settled on Sushi Yawa, near Washington Square Park, which seemed to have a good variety of fish and non-fish choices. 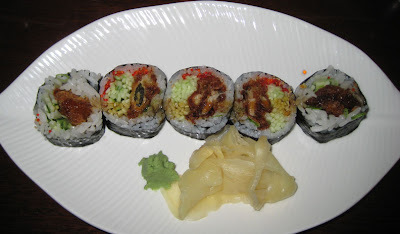 After the rather large meal I ate at Ma Peche earlier in the day, I was glad I suggested sushi over, say, a burger, which would have been too heavy and greasy. 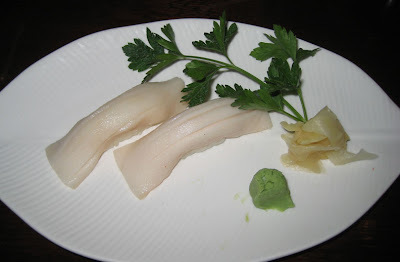 I started out with two pieces of "white tuna," aka escolar. I really love the mild buttery-ness of this fish; Sushi Yawa's was very fresh and I loved that there was a larger proportion of fish to rice. Mr Dust has never met a crab rangoon he didn't like, and had no complaints about the ones he ate at Sushi Yawa. 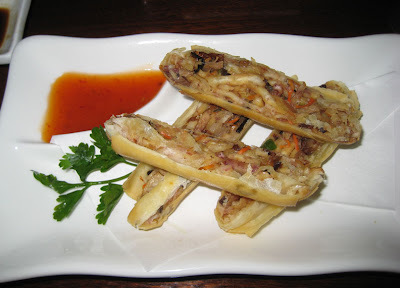 There were some Thai-ish dishes on the menu, one of which was a crispy duck spring roll. While it sounded like a good idea, and it certainly was pretty, it had little or no flavor. The wrapper was crisp but also tough, and the meat inside was dried out. Fail. My fried oyster roll was much better. Made me want a whole big plate of fried oysters though. 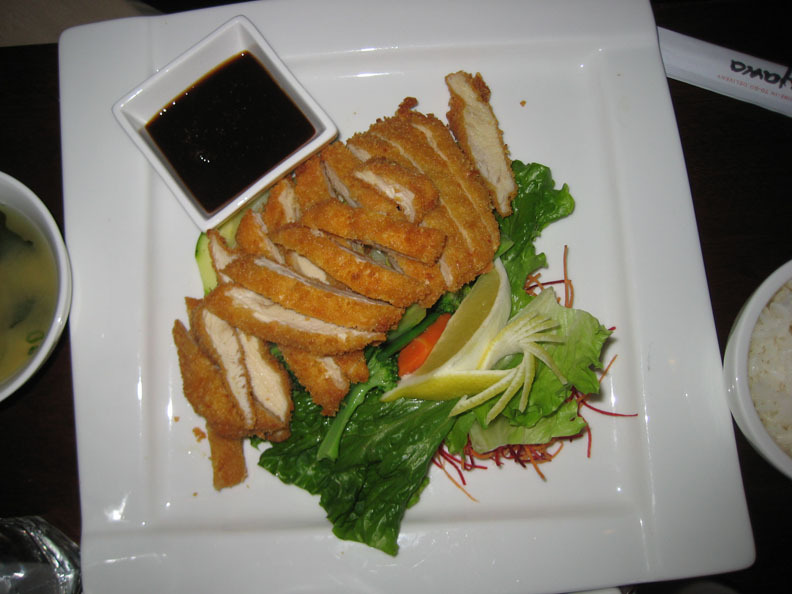 David did indeed order the chicken katsu, which came atop a plate full of lovely steamed vegetables including broccoli and green beans. It was a generous portion, and a big hit, too. While not earth-shattering or particularly interesting, Sushi Yawa offers pretty good food, especially when they stick to the sushi. The prices there seemed reasonable as well. Our meal was in the $40 range.